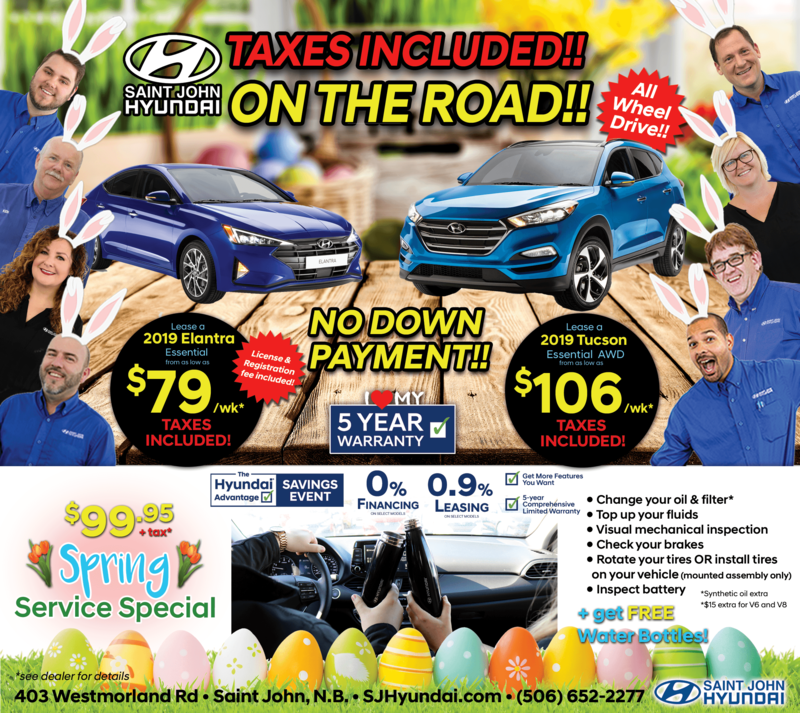 Special Offers | Saint John Hyundai Saint John Hyundai Dealer NB. When you bring your Hyundai home to us, you’re putting it in the hands of people who know your vehicle inside and out. We are factory certified, spend each and every day working on Hyundai vehicles, and are the experts you can trust to service it right. And if we do spot something, our specialized training ensures we’ll fix things right the first time. Best of all, we have the necessary state-of-the-art diagnostic equipment, technical information and Genuine Hyundai Parts – right at hand. Genuine Hyundai Parts are made to Hyundai’s exacting standards and specifications, so they fit your vehicle perfectly, every time. It simply doesn’t make sense to risk your vehicle’s reliability and longevity by installing inferior, aftermarket parts. We don’t stop there! Not only do we deliver superior service on your Hyundai, we can deliver that same superior service on any and all makes and models. What’s more, we have convenient hours and will provide you with fast, efficient service. Be sure you get the Hyundai Genuine Parts and Service Advantage by bringing your vehicle home to Saint John Hyundai. And be sure to check out below for current specials and promotions as well as for current regional or seasonal maintenance specials. Genuine Hyundai Parts and Service. Expect more. Get more.